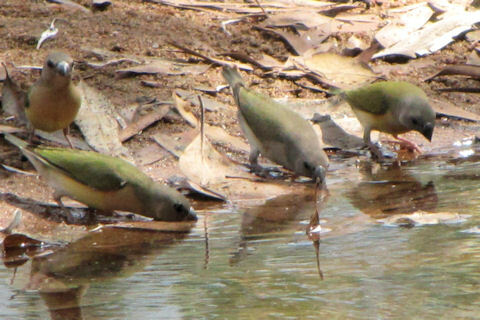 During a short stop at the Ferguson River on the way south we saw several birds including Hooded Parrots and Gouldian Finches, neither of which I managed to photograph except for these juvenile Gouldian Finches. A little over a week later, travelling in the opposite direction we once again called in but this time saw nothing. It had rained heavily and there was water in puddles all over throughout the area which didn't help to concentrate the birds on the bigger waterholes.